Larry E Simmons completed his PhD in Nursing 18 years ago from the University of Missouri-Kansas City in the US. He has worked in testing arenas and has become an expert in nursing testing development. 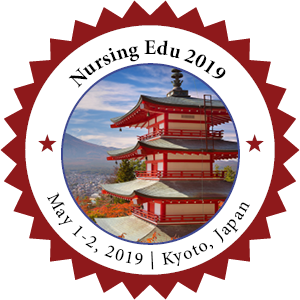 He currently is Director of the CNE Program at the National League for Nursing and assistant professor in the nursing doctoral program at South University in Tampa, Florida, USA, He is a nationally known speaker on testing and curriculum in nursing education. CNE credits and Global Certification. Angela Babaev has completed her Doctorate Nursing Practice (DNP) at Drexel University USA. Dr. Babaev, an RN & Clinical Nurse Specialist (CNS) in Maternal Child Health (MCH) received her Masters of Science in Nursing (MSN) from Leahman college and Bachelor of Sience (BS) in Health Administration from St. Joseph College in New York. Currently she is the Assistant Vise President Education & Nursing Recruitement at SBH Bronx Health System New York. Babaev is a recepient of the Jonas Center for Nursing & Veterans Healthcare Award scholarship. As a Director of Beatrice Renfield Nursing Research and Education department at Mount Sinai Beth Israel (MSBI) hospital piloted first and subsequent annual MSBI Nursing Research Days and Poster Presentation Events. Served as Chair of the research committee at MSBI and a Judge at Nursing NLN1199 RN Symposium in New York 2016/2017. Dr. Babaev is a member of AONE, ANPD & STTI associations. Lecturer of PIN - Program for International Nurses she has made significant conribution to the curiculim development, PIN course implementation and served as primary instructor of NCLEX comprehensive review course for NCLEX RN licensure examination in collaboration with the Metropolitan Jewish Council, LaGuardia Community College and Philips Beth Israel Nursing School funded by the Baron De Hirsh Foundation. Proffessor Babaev served on the panel of item writing/item review, established a recommended minimum standard of English proficiency specific to entry level nursing (TOEFL). 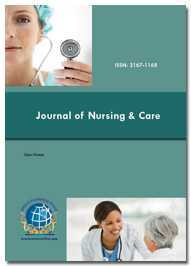 Nursing leadership style specifically use of Transformational leadership in the delivery of care and impact of Nurse Leader Rounds relaited to patient experience. Additionally interested in exploring the novice nurse transition from a student role to a professional role in a hospital setting. YuChun Yao is an assistant professor in Department of Nursing, I-Shou University in Taiwan. Her specialties are nursing education, nursing leadership and management. She got her Master degree in Nursing in 2004 and Doctor degree in Education in 2011 from Spalding University, Kentucky, United States of America. She has publised more than 10 papers in reputed journals (which included SSCI journals) and international conferences (which included ICN conference in 2017).